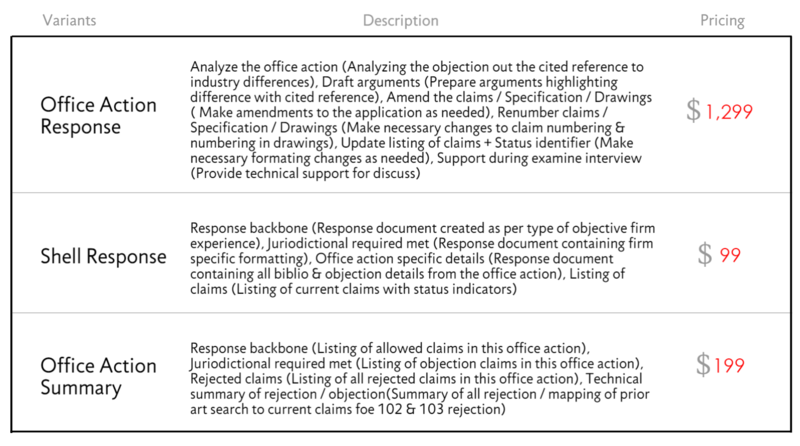 Office actions are the possible objections or rejections of the disclosure and claims in the patent application which are filed by the patent examiner after the filing if the non-provisional patent application that needs more clarification in terms of technical, legal, or grammatical aspects (if any) and requires immediate responses from the applicant in order for prosecution of the application to continue. Responses must fully clarify and cover all grounds of rejection and objection made by the examiner. The following are the three Patent Office actions filed by the patent examiners depending upon the severity of the patent application. Non-Final Office actions: This is filed if either all the USPTO requirements are not met properly or on submission of non-patentable invention. Response to this, can be either sent in written format that explains about the validity of the stated points, or through amending all the required solutions for the issues given. Final Office actions: If the statements submitted in response to the non-final office actions are not considered valid or up to the mark in satisfying patent examiner’s concern, then one may receive a final Office action. Responses to this are only limited to making down amendments as marked by the examiner to continue the prosecution of your application. While an appeal with the Board of Patent Appeals and Interferences or a Request for Continued Examination (RCE) can also be filed, which opens the application up for further examination. Advisory actions: After making amendments according to the final office actions, if the examiner still remains unsatisfied, then one may receive advisory action, which is essentially an Office action that explains exactly what amendment will be allowed. You can either amend your claims to imitate to the requirements of the advisory action, file an appeal, or file a Request for Continued Examination (RCE). Office actions must be replied with sensible responses within a limited time period to avoid extra fees for its time extension. The period can be between two to three months, according to the type of response required. There are no extensions beyond the 6-month statutory time period for reply other than notices that do not have a statutory time period for reply. After 6 months the application will be held abandoned. Applicants are required to submit response online via the USPTO’s Electronic Filing System-Web (EFS-Web) (for Registered e-Filers only), by mail, through USPTO’s Official Fax Number (571-273-8300), or by hand-carry to USPTO’s Alexandria, Virginia Customer Service Window. Our scientific approach combined with immaculate technical documentation capabilities help its clients in preparing office action responses that are persuasive enough to alleviate all the objections raised by the patent examiner in light of newly-found prior art or in view of the prior art originally cited. Our service will include managing individual notifications on each office action, distribution of reports listing each action received and filed in a given timeframe, and updation of file management system or database in lieu of sending formal notifications. We have substantial experience in responding to various kinds of objections including USC 112 or USC 102 or USC 103 or USC 101 objections. Our experts focus on arguments and strategies that directly address the concerns of the patent examiner objectively while keeping the business impact of the claims in mind for maximizing enforceability. 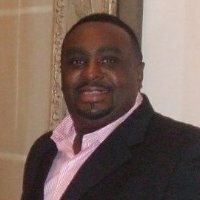 10+ Years in Business, 30+ patent drafters team consisting industry experts from various technology areas. Expert team of multiple Patent Attorneys/ counsels to keep up-to-date on industry best practices. Support litigators in patent infringement, so clearly understands the value of well drafted claims and claim constructions. Provide technical support on Examiner Interviews & write arguments very objectively. Quick turnaround and unlimited iterations. The road to getting a patent doesn’t end with filing of a patent application. After the patent application is filed with the PTO, the patent application is assigned to an examiner for examination. The examiner then reviews and evaluates the patent application in order to determine whether the filed patent application fulfills the requirements for patentability. 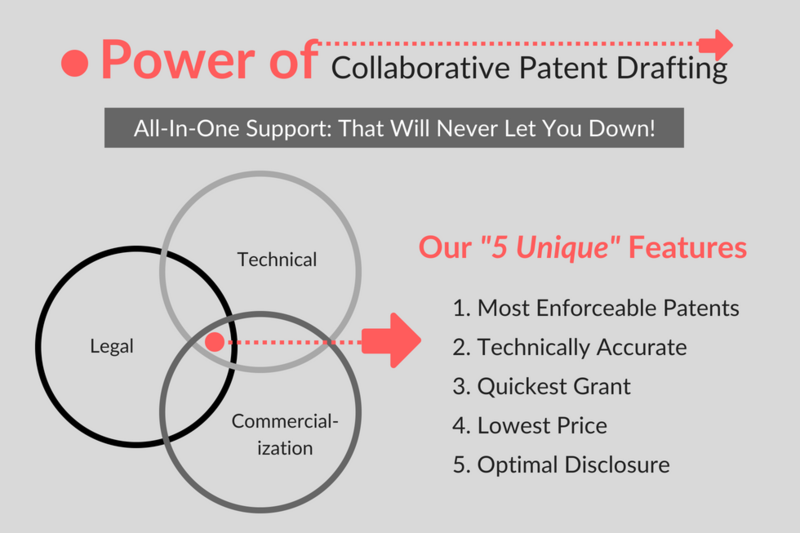 On an average, a patent application filed at USPTO undergoes 3 to 4 office actions. 85% of all patent applications receive a first office action. An office action does not necessarily mean that there is a major issue with the patent application, but is merely the examiner’s opinion. However, how you deal with them is of critical importance. An improperly drafted response to an office action can lead to multiple iterations, causing unnecessary cost burden on the applicant or more significantly can lead you to get a patent with restricted claims which have no value and are unenforceable. At PATENT DRAFTING CATALYST, we have perfected the art of responding to office actions for multiple technology areas and countries and have helped patent attorneys significantly reduce their effort on drafting office action responses. We have substantial experience in responding to various kinds of objections including USC 112 or USC 102 or USC 103 or USC 101 objections. Our experts focus on arguments and strategies that directly address the concerns of the patent examiner objectively while keeping the business impact of the claims in mind for maximizing enforceability.